Creating a safe space is critical to a thriving community. Telegram is ideal for growing a community but an open door to spammers, scammers, and trolls. The rule of thumb is: if investors know about your ICO, bad actors do too. 81% of ICOs are scams, according to a report from the Texas State Securities Board. Scamming is lucrative, with some earning more than an ICO could ever raise. Predatory efforts aside, spammers and trolls can be equally relentless in bombarding your channel with nonsense. 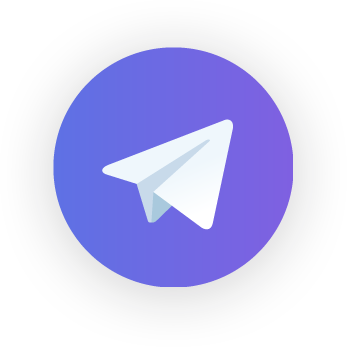 Fostering a sense of security is essential to a successful Telegram channel. However unavoidable, spammers and scammers contribute to a toxic and unwelcoming environment. If left unchecked, these intrusions can erode the trust of your audience, degrade the positive sentiment in chat, and undermine the success of your entire project. It’s the responsibility of the Telegram Community Manager to recognize these fraudulent activities, minimize the nuisance, and improve group security going forward. Yes, weeding out bad actors and scouring away unwanted communications is time-consuming. However, a number of effective security measures exist for vigilant channel moderators who want help in fighting the good fight. This section outlines how to identify and protect against the six most common scam and spam techniques. You’ll find a tactical approach to identifying red flags, dismantling threats, and sustaining a safe space that leads to member retention. Phishing is common in the crypto world. In a step to limit phishing, a joint regulatory commission recently issued over 70 cease-and-desist letters to potential cryptocurrency scams and fraudulent ICOs. Phishing is when a scammer creates a fake website, joins your channel, and begins sending links to your audience for irresistible offers. If the member clicks on the fraudulent link, they’ll be directed to a site that asks for their crypto wallet credentials. For example, after the Telegram ICO raised $850 million, fake sites like Gramtoken.io began to appear. The danger of phishing scams is their apparent legitimacy. A false site may be ranked on Google, supported by social media accounts, and appear in every way credible. URL Whitelists stop phishing because they block any unapproved links. While you want to encourage an exchange of crypto information from credible sources, mitigating risk means controlling the clickable links in your chat. No fraudulent links means no phishing, so consider using anti-phishing security bots as well. To further inoculate your chat from phishing, notify members that you’ll never ask for their wallet credentials. Be explicit in your community guidelines that anyone soliciting a coin exchange is a malicious party. Trolls aren’t looking to defraud your audience – only frustrate and disturb them. These malefactors thrive on discord and work to undermine any chance of a productive conversation. Since respect is the cornerstones of a rewarding community experience, trolls seek to foul the community space. Lewd images, obscenities, and misleading information can all be used to disrupt the flow of communication. Moderators should monitor conversations to ensure that standards of civility are observed. If necessary, you can enforce your expectations by reminding users of the group guidelines. If offensive talk continues, Language Filters and Flood Protection can be used to stymie the flow of negative speech. Automatic Warn/Ban functions also help you to recognize when people cross the line, and negate further offense. After these triggers take effect, admins should block and ban the users whose obstructing a meaningful dialogue. Free ETH or BTC giveaways are a form of phishing that rely on celebrity namesake to pull people towards fraudulent coin offers. Using fake social media accounts complete with likes and retweets, and corresponding websites that appear like legitimate exchanges, group members can be suckered into parting with their coins. Fact is, Vitalik Buterin is definitely not giving away 100 ETH. So if @VitalikButerni joins your chat, you should suspect that this is a celebrity impersonator. Be quick to ban any impersonators. To help, compile a list of crypto-influencers and their corresponding social usernames. When @VitalikButerni shows up chat, you’ll know that @VitalikButerin is the real username, and you can verify the poser. Use the Automatic Warn/Ban feature to enforce your intolerance for these users. After you’ve flagged a possible transgressor, you can deliver an automatic warning or banning as needed. Crypto-related advertising is banned on popular advertising platforms like Facebook, Google, and MailChimp. As a result, unscrupulous projects try to advertise via the Telegram channels of more established ICOs. These ICOs spam your chat with links by using their URL as a username. This way, even as the person enters and leaves the group, their URL is posted twice in the group and creates exposure for the ICO. Spam from disreputable marketers has become more common since Stratis launched an ICO platform that makes ICOs easy and available to all. Since many investors can be convinced by no more than a website and a white paper, underhanded tactics like these are frequent. To protect against spamming of any type, channel moderators should monitor all links in chat, including in usernames. URL Whitelists can stop spammers in their tracks, effectively creating a bubble around your channel for any links that aren’t pre-approved. Similarly, a User Whitelist lets you repel any member names that don’t conform to naming conventions. User Whitelists also allow your admins to bypass established securities and post to the group as needed. Best practices also dictate that you report and block users with URLs in the username. Train your team to identify and delete any spam from fraudulent or unwarranted ICOs. Flooding is a stream of unwanted duplicate messages being released into your chat. Spam-marketers and scammers both use the Telegram API to program chatbots that reply to user messages with irrelevant, malicious, or promotional information. If unfiltered, this stream of messages can choke communication and devalue the channel experience for committed users. Telegram bots used as such can be one of the more annoying adversaries to Telegram moderators, as scrubbing these comments from the group can be time-intensive. Flood Protection prevents trolls and spammers from filling your group with unwanted posts. This feature halts excess posting and raises a flag for moderators. After you’ve identified this user, whether bot or human, ban them from the group. A Bot Whitelist is another stop gate to marketing bots that would otherwise swamp your channel with false or useless information. Perhaps the most common tactic of Telegram scammers is to impersonate a group administrator. They create a username similar to the admin’s, then copy the title text and profile photo. For unsuspecting members, this can lend authority to otherwise suspicious offers and requests for coin exchanges. These false admin profiles can be identified by their lack of the grey admin badge next to their posts, as seen here. Impersonators will often message the user directly with a discount, bonus, or early-access offer that leads to a scam page. If the trustworthiness of group leaders is suspect, it can be difficult to foster a dialogue. Make clear in your community guidelines that admins will never ask for user wallet credentials. Be vigilant about scanning for fake admin profiles and swift to ban these users. Afterwards, contact the group member that was contacted by the fake user, and assuage any misapprehensions that resulted from this false interaction. Channel moderators must work to keep their Telegram as focused and as friendly as possible. After all, anything outside the scope of your project is a distraction that could deflate your community engagement. With infiltrators afoot, retaining your community members is a 24/7 endeavor. Deleting false accounts and countering attacks in chat will take time, but group members will appreciate your efforts. To the extent that you maintain a rewarding chat experience, you can nurture confidence in your project and fuel your goals for growth.